Tuscany Las Vegas is a casino hotel that has other amenities. All the amenities at this facility are exceptional. Tuscany Suits is at Flamingo Road in Las Vegas. You are likely to love these suites because they are close to the Strip. But the good thing about being here is that you will not get the crowds. When you read that it is close to the Strip, you may think it is a few miles away. The facility is two blocks from The Strip. That tells you that you will get to feel all that goes on the Strip. The difference is that it is a bit calm. The facility offers plenty of luxurious space. There is enough space to enjoy your sleep, drinks, and food. Do not forget that Tuscany Suites & Casino offers award-winning gaming. Most noteworthy, this happens courtesy of the 37, 000 square feet of casino space. But before we delve into fine details of each section, here is the summary. • There are 810 gaming machines. • The facility has 11 table games. • The number of poker tables is 2. 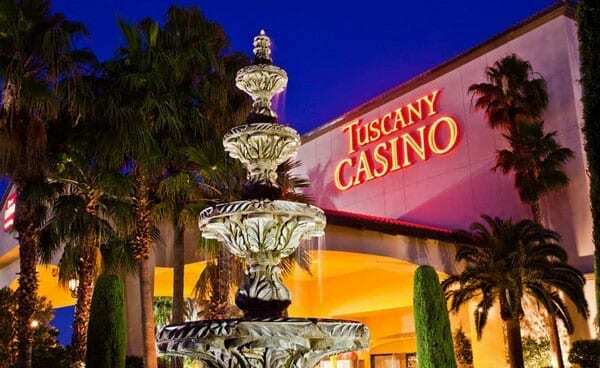 • Tuscany Suites & Casino is open 24/7. • The hotel offers both valet and self-parking. • Total casino space in the resort is 35, 000 square feet. • The amount of space set aside for convention is 37, 000 square feet. Although Tuscany Suites is one of the smallest facilities in Vegas, it offers premium services. For this reason, hotel rooms start from $101.00 to $102.00 per night. The casino has a well-organized poker room as one of the essential amenities. But there are many other social amenities you will love. Tuscany Suites & Casino sits on a piece of land measuring 27 acres. The facility looks small. But it is one of the resorts in Vegas with big rooms. Also, this makes it easy for visitors to check in. They know they do not squeeze themselves into a tiny room. The smallest suite in Tuscany measures 650 square feet. The Vegas Convention Center and the airport are a few minutes away. Many people will say that 35, 000 square feet casino space is a small space. They are right. But you must know one thing. This more modest area at the Tuscany does not matter when the casino goes on record. Las Vegas Review-Journal names the Tuscany the Best Player’s Club in 2011. You should not underestimate the small size of Tuscany’s gaming floor. For a long time, there is poker in the facility. But for now, you cannot play in Tuscany. This does not mean that you cannot play other games. Still, there is plenty of craps, blackjack, and roulette. Do not forget that there are over 800 gaming machines. The casino has some of the best selections of slots. Some games you’ll expect to find inside Tuscany Casino. You will love the idea that these restaurants offer ready meals. So, your work is to walk into one of the Tuscany Suites & Casino restaurants. Once you are in, you are free to order what you want.